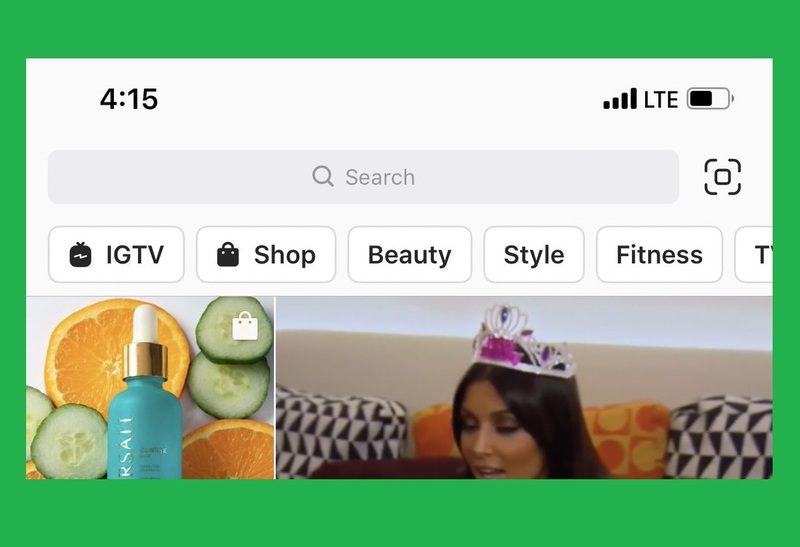 Instagram is Updating its Explore Page to add a number of Relevant Categories! Instagram’s Explore Page is where you can find trending content that suits your taste, in addition to posts that have engaged your followers and the people you follow (and the people they follow or are followed by). There are a number of different categories such as Comics, Style, TV & Movies etc. so you are bound to have in interesting time “exploring” the page. As if the available options weren’t enough to satisfy the users, Matt Navarra shared an interesting tweet recently Kendall, ‏according to which, the Explore Page has added yet another set of categories! The screenshot which was included in the tweet showed “IGTV” and “Shop” categories along with the already available ones. There were a lot of stories regarding these features being added to the Explore Page but now that they are finally ready to be rolled out, it just takes the excitement to another level. The addition of “IGTV” looks like yet another attempt by Instagram to get its users into the vertical-video format. It will most likely feature the preview of IGTV videos on the Explore Page, and once tapped, you will be able to view the full video. Related: How Instagram and Sharp Programming Skills Earned Chris Buetti Free Restaurant Meals! “Shop”, on the other hand, will likely make the product purchasing process available on Instagram itself, so the users will not have to leave the app to visit an external website. It seems like the updated Explore Page is slowly rolling out as many users still have the old version while some claim that they already have access to the new features. It is still unclear whether these features will include anything extra or just the rumored functionalities, and when they will be available to all the users worldwide. However, the Explore Page is surely the next big thing!